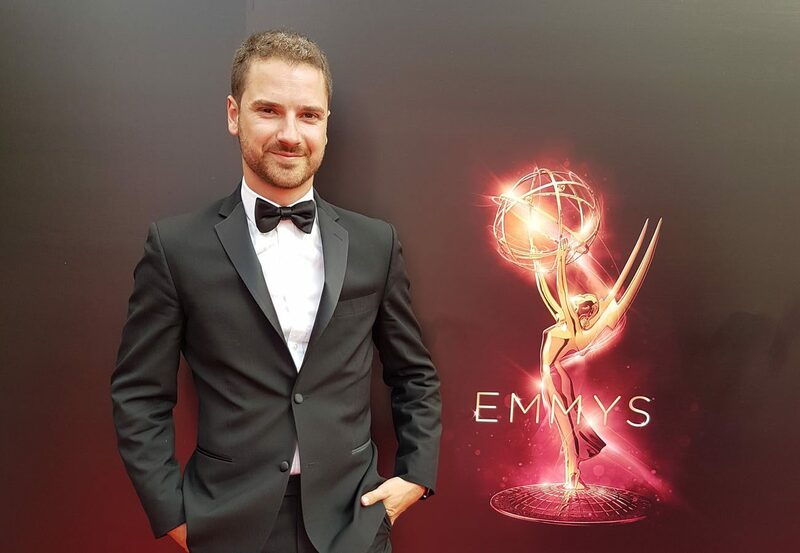 QUEBEC CITY (CNS) — Thomas Montminy-Brodeur, 28, just won the Best Visual Effects Emmy Award as part of the team at Rodeo FX, the Montreal studio that makes the special effects for “Game of Thrones.” Now at the top, Montminy-Brodeur smiles when he thinks about the work he used to do for the Archdiocese of Quebec a few years ago. It was in 2007, and he was completing his studies in visual effects. “I didn’t even know whether I could even do that as a career. I thought I would be poor all my life,” he said in an interview. Montminy-Brodeur’s father, Raymond Brodeur, was a well-known theologian at Laval University in Quebec City. His mother, Lisette Montminy, also taught theology there. “They never tried to shove religion down our throats. They always gave us a choice, letting us do our own choices. It’s thanks to that that I felt I could do something as unorthodox as visual effects,” he said. “A lot of friends have asked me over the years if I was a ‘Jesus freak,’ growing up in a family like that. No. Precisely because I always had this liberty,” he added. He ended up working a few months for the Archdiocese of Quebec in 2007 and 2008, as it was preparing for the International Eucharistic Congress. The church of Quebec felt it needed to upgrade its communications capabilities by including video coverage. Montminy-Brodeur was hired to help with camera work, video editing and 3-D animations. A lot of his work was shown on the big screen in the Pepsi Center where the congress was held. “What I liked about my time at the archdiocese was to see the motivation of people who had a message to deliver. There were a lot of volunteers. I thought it was super cool to stand alongside people that were convinced of the importance of their message. At one point, I was afraid they would judge me because I wasn’t as ardent as them. I felt like a black sheep. But in the end, everything was fine, and I kept in touch with a lot of the guys,” he said. In 2009, he returned to Montreal to work for Rodeo FX. The studio only had 25 employees back then. It now has 350 in Montreal, Los Angeles and Quebec City. But the real game changer came when the studio got the contract for the fourth, fifth and sixth seasons of “Game of Thrones.” For the past three years, Montminy-Brodeur has worked six months a year on this project. As a compositor supervisor for visual effects, he’s supervisor Matthew Rouleau’s right-hand-man. “I couldn’t have hoped for a better job at this point in my career. I’m really happy with my evolution,” he explained, saying he supervises the work of around 40 artists. In February, Montminy-Brodeur won a Visual Effects Society award: best virtual environment in a television series for his 30-second clip of Volantis, a city in the “Game of Thrones” universe. In addition to his work at the studio, he also teaches visual effects for Quebec University in Abitibi-Temiscamingue. Vaillancourt is editor-in-chief of Presence info based in Montreal.